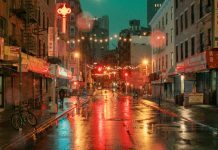 Book recommendation: Light on New York City – nocturnal street photography of facades, storefronts, neon marquees and signage shot by Franck Bohbot. 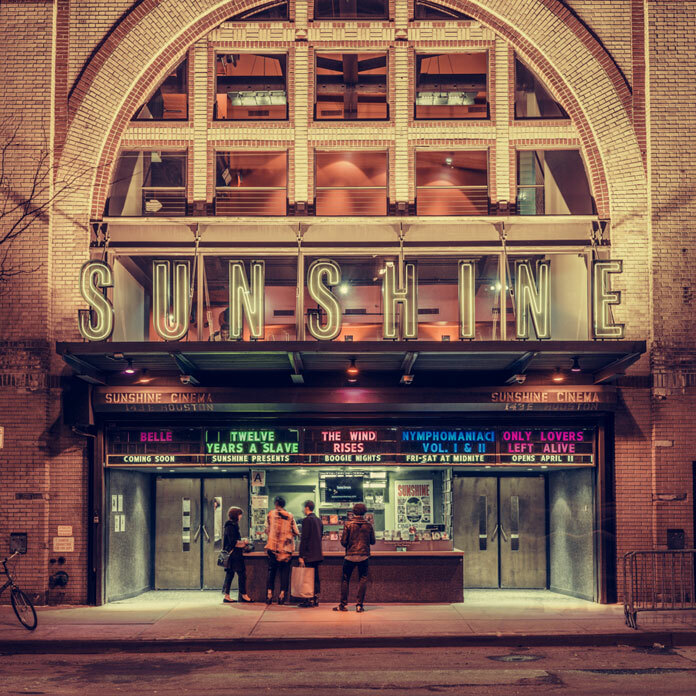 Brooklyn based photographer and filmmaker Franck Bohbot has started this project in 2013. 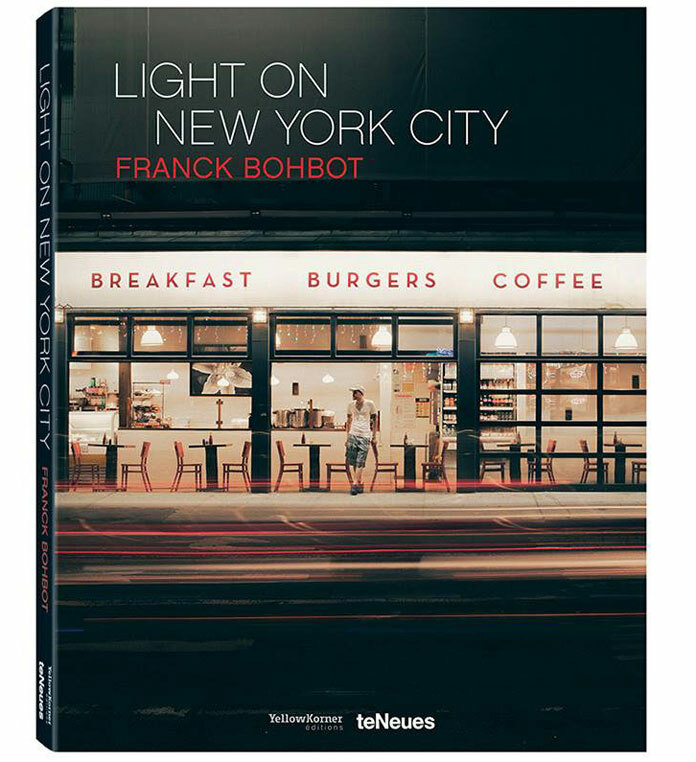 Collected on 176 pages, Light on New York City provides fascinating and nostalgic views of the city that never sleeps. 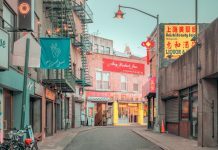 In his distinctive style, Franck Bohbot has captured a range of cinematic images of New York City’s nighttime facades, streets, storefronts, neon marquees and signage. 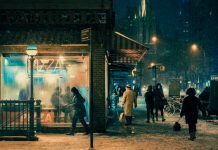 Characterized by an almost staged theatrical atmosphere and the predominant absence of people, the series celebrates a kind of sentimental artificiality in today’s urban surroundings reminiscent of paintings by Edward Hopper. 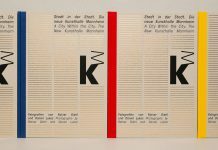 Feel free to have a look at the pictures below. 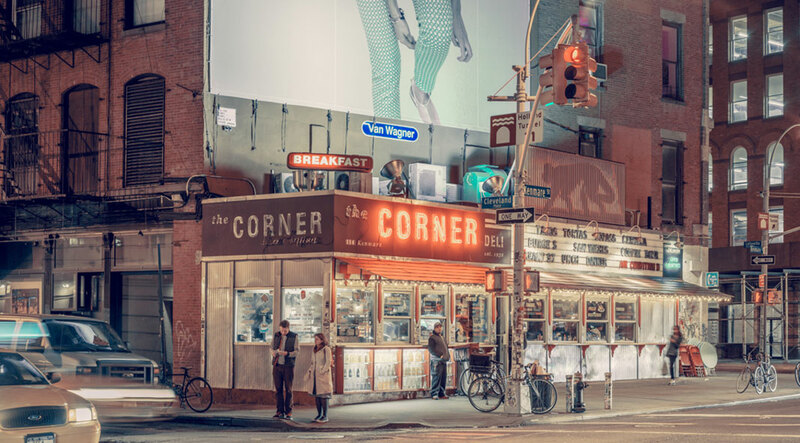 For those who want to see more of Franck Bohbot’s photographic work, please visit his website. 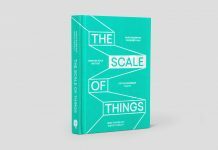 If you want to purchase the book, just click on the following link. 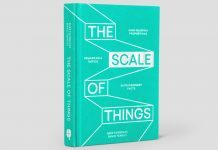 The book is available as hardcover edition on Amazon. 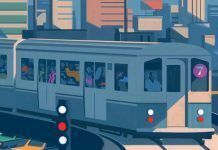 A nostalgic series that celebrates urban environments. 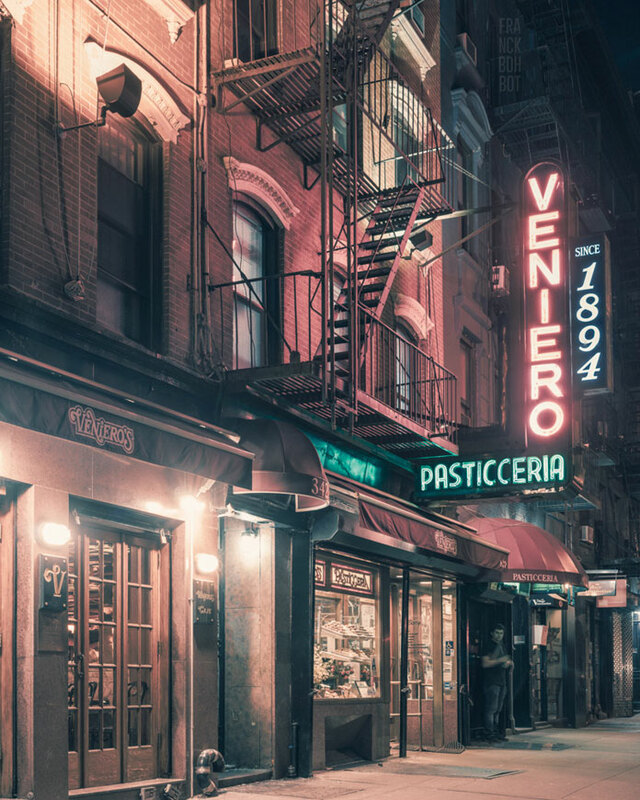 Fire escape stairs and neon signs. 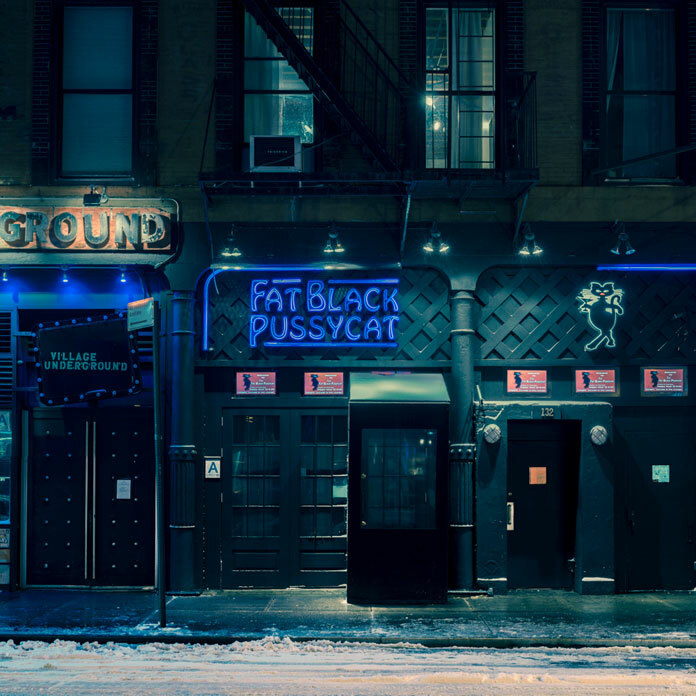 Cinematic images of the city that never sleeps. 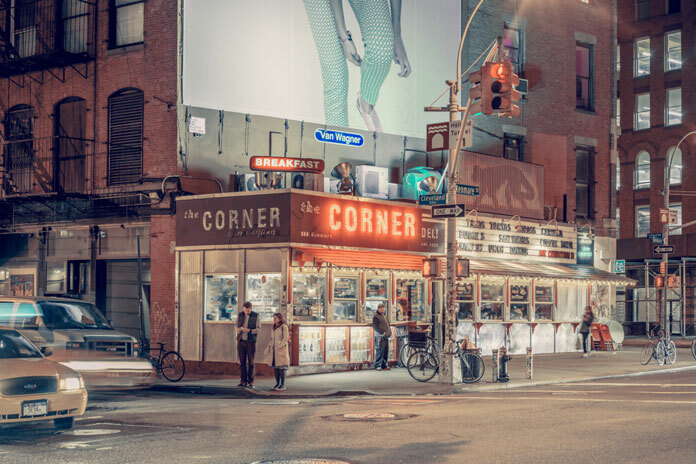 Images reminiscent of Edward Hopper paintings. 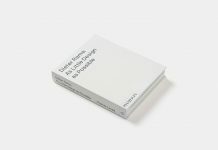 Most of the photographs are characterized by a predominant absence of people. 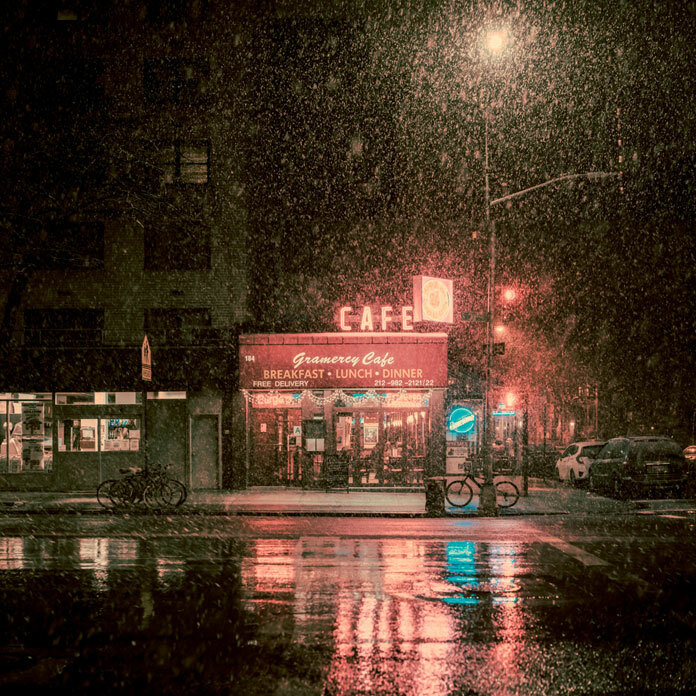 Manhattan street photography at night. 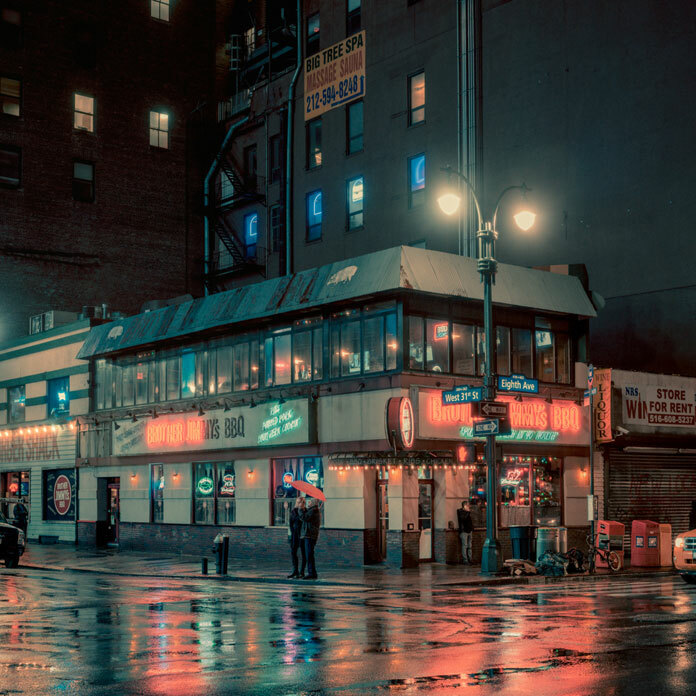 Light on New York City – nocturnal street photography by Franck Bohbot. 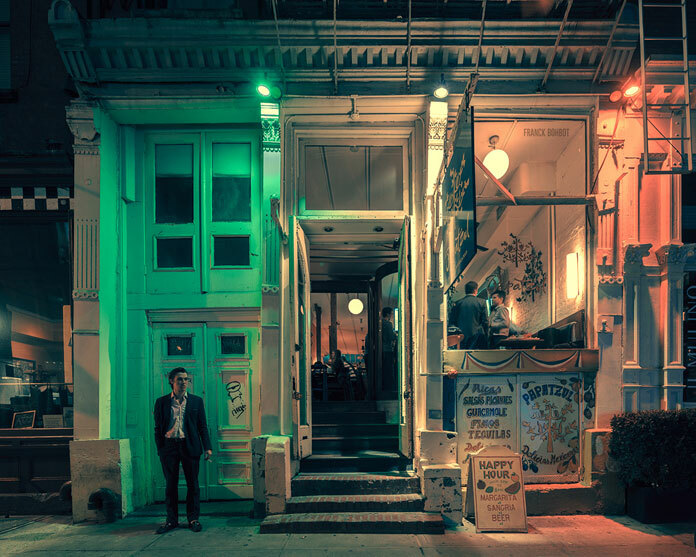 All images © by Franck Bohbot. 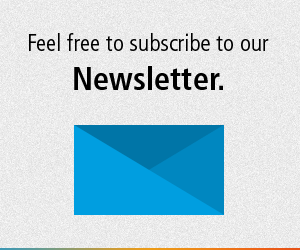 Do not hesitate to explore more inspiring images in our Photography section. 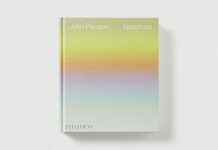 On WE AND THE COLOR you can find a wide range of photographic work such as portrait, fashion, landscape, architecture, street and urban photography.